Interesting—the Apostolic Constitution isn’t even out yet, is it? This entry was posted in Anglican, Ecumenism, Roman Catholic on November 5, 2009 by Derek A. Olsen. I just want all to know that I stand willing and eager to assist ++Rowan and Fr. Gordon Reid in assisting the thousands of new converts expected any minute now in the Anglican Church (Roman Rite). This entry was posted in Anglican, Ecumenism, Roman Catholic on October 28, 2009 by Derek A. Olsen. The Roman blog New Liturgical Movement is a frequently if not daily read for some of us non-Romans/protestants who point our liturgical eyes across the Tiber. Long militating for recognition of the splendors of the Traditional Latin Mass (TLM) and the reform of the reforms of Vatican II, some readers have wondered what its role is now that the Benedict the 16th’s motu proprio has clarified the Roman position on the TLM, a clarification that enables its wider and broader use. Would the site focus exclusively on the TLM and leave the Novus Ordo (the V II version) to hang? The authors have been engaging in public discussion about this and one of today’s posts hits it on the head: to be of continuing use to the church is to refuse the inclination to head into a TLM echo chamber; the reform of the reform should move hand in hand with the restoration of the TLM. I’m happy they’ve made this statement because it means the site and its resources will continue to be of use to us non-Roman readers. We’re never going to do a TLM; ain’t gonna happen. However, we too could stand to experience, learn, and thoughtfully and theologically reflect on the riches of a TLM done properly and how its qualities of prayerfulness and Godwardness can further our corporate and private worship of God. This entry was posted in Ecumenism, Liturgy, Roman Catholic on October 2, 2007 by Derek A. Olsen. I want to ponder both the possibilities and limitations of common prayer as we head deeper into this new century. There’s no doubt that things are changing. For decades Christian denominations have positioned themselves in relationship to one another primarily through their responses to modernism. Thus, there was a great shift in the in the late 19th and early 20th centuries with the rise of fundamentalism as an approach to the social changes caused by advances in science and technology. There was another in the 1970’s as Rome clarified the stance of Vatican I and placed new accents upon the traditional faith in doctrine and liturgy which caused ripples throughout the Protestant Mainlines. These ripples of Vatican II were both a continuing response but also the harbingers of new change. As we—forty years later—are still making sense of the reforms and their implementations, the world order is changing and the ripples are encountering new shoals. We are on the cusp of another major shake-up, no longer a response to modernism but postmodernism. In a sense the current problems are related to the rapprochement of the preceding decades. We have started talking to one another, to fields of science, and the humanities—and have found new questions and problems. New generations arise: the digital youth. Old ways are passing, new ones are struggling to be born. integrity—do these arrangements tell the truth about who and what these Christian communities are and what they believe? I’d like to reframe what we’re about in terms of ecumenism. It’s one thing if we’re talking to one another—that is, if the point is the talk and the concepts therein. It’s another entirely if we’re talking about what we do—the practices that we engage in together. If the point of our unity is what we do, then why is ecumenical discussion so focused on thoughts and not actions? In short, my proposal for a new ecumenical direction in the new emerging order is shared action—common prayer: an Ecumenical Use. service from Word to table—but it would also include a stripped-down eucharistic canon, something between the current eucharistic prayers A and D, that would seek to honor both Eastern and Western roots while retaining its Anglican heritage (like a double epiclesis, for example…). The fundamental rule would be that anything may be added to it—but nothing could be removed. The use of this liturgy in local communities would the sign and experience of ecumenical relationships, not conversations on a national level all too far removed from the theological and liturgical life of the people in the pews. Ecumenical agreements could exist on a purely local level. 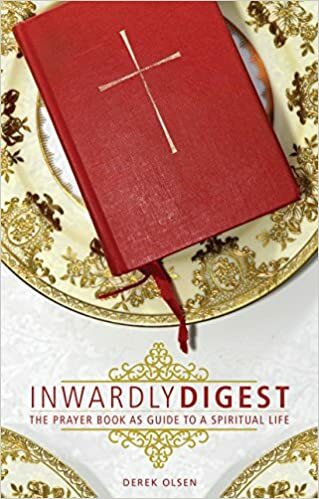 Episcopal churches—both snake-belly low and the highest up the candle, Continuing Anglican bodies, Lutheran churches, Independent Catholic churches, could all use the liturgy and be united in it. Should a UCC church feel it to be within their common life—hey, why not? The blend between the stable agreed-upon Ecumenical Use and each community’s local use would maintain the flexibility that would allow each to retain its authentic character while holding what is most important in common. Should a community not feel they could participate in the Ecumenical Use with another, they simply would not have to use it. The responsibility and authority for ecumenical relationships would rest at the local level—where the people are and where they meet, gather, and pray. Yes, it’s a far-fetched idea. Yes, it needs more development. But it’s a possibility—it’s a new direction. The change is coming. Our Great Unpleasantness reveals that we are already in the midst of it. With the challenges and difficulties come new opportunities—we just need to start figuring out what they are. This entry was posted in Ecumenism, Liturgy, Theology on May 14, 2007 by Derek A. Olsen.